[inuyasha]*wakes up*redy 2 look 4 the jewel shards? [inuyasha]y should i care?i doesnt involve me. 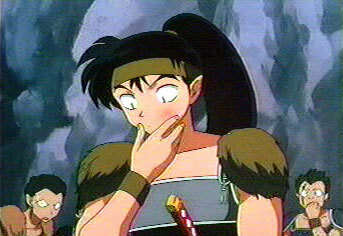 [sango]*nods*kagomes right inuyasha..wut if they have a shard? [me]*smiels and gets up and streachs*i think theres a village of town near by..i can smell the food.lets go see if we can find kagome and the owner of these jewels there. [shipo]there going 2 attack us!!! [me]*jumps and it almost hits me*HEY WATCH IT!!!! !U ALMOST HIT ME!!!! [sango]*throws it again*thats the idea!!!!!! me:*shocked and quickle moves out of the way as the arrow pass's me with light surounded it*...WHAT THE HELL KAGOME!?!?!?!?!?!?!?!?!? !...HAVE YOU LOST YOUR MIND!!!!! miroku:*throws sutra's at us*...DIE DEMONS!!!! !...TEACH YOU TO TRY AND ATTACTION AN INOCENT VILAGE!!!! me:*confussed*...HUH?!?!?!?!?!?!?!?! ?....MAN KAGOME YOUR BEING THE BIGEST PAIN RATE NOW ALONG WITH YOUR FRIENDS!!!! [me]THATS SOME WAY 2 TREAT UR BEST FRIENDS KAGOME!!!!!!! [me]*gets a weird erge 2 fight with them but resisting it and runs slower then last time but still alot faster then koga*WTF IS WRONG WITHU KAGOME!?!?!?!?!?!?!?!?! ?KAGOME ITS US!!! !HIKARI AND ETSUKO!!!!!!!! !WTH R U DOING!?!?!?!?!?!?!?!?!?!?!?!? me:*annoyed*......OHH SHZ8T NOT ANOTHER ONE...URG.....*grabs your hand and goes demon fast and gets out of the way of the arrow that was flying at us*....DAME KAGOME YOU TRYING TO KILL US...WTF?!??!?!?!?!?!?!?!?!? [me]FINE U DONT BELIVE US,THEN I'LL HAVE 2 MAKE U!!!!!!!!!!!!!!! !SO HOW R THINGS WITH MR.POSSESIVE AND MR.KIDNAPPER!?!?!?!?!?!?!?!?!?!?!?!?!?!?!?!?!?! [me]*hugs back*it fine..its easy 2 understand y u couldnt tell it was us..
[inuyasha]i thoguht so but i wasnt sure..u 2 r direct desendents of 2 of the most powerful demons that ever lived.they wer able 2 control all the elements and had incredible speed and strength..they wer knon4 there beauty and grace in battle.they made each fight like a show using the elements.they died years ago after givine birth 2 half demons.1 wasa dog demon and the other was a wolf..
[sango]*shocked*wait..ur saying these 2 r HALF demons!?!? !but they wer stonger then most FULL demons i've fought b4. [inuyasha]they only got HALF of there ancesters powers and dont no how 2 use them,imagain wut there ansescters wer like..i supose it would b there great grandmothers..
miroku:*smirks*...thinking...beauity indeed....*walks over to us and grabs one of our hands and looks at us*...would eather of you beaitful ladies would like to bare my children???? me:*shocked even more*...WHAT?!?!?!?!?!?!?!?!?!?....UMMM... *blinks in shock*.....IS HE FOR REAL?!?!?!?!?!?!?!?!?!? 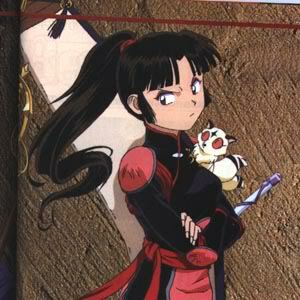 [sango]*pissed* i like her,she nos how 2 deal with him. me:*shocked and blinking*....thinking....THIS PLACE IS SO F*CKEN WERID!!!! !....ITS GOING TO GET EVEN WERIDER I JUST KNOW IT.....I HOPE HIKARI DON'T TELL KAGOME WHAT HAPPEN TO ME WITH THE GORGEOUS DEMON....I WOULD DIE.....KNOWING HER SHE WILL AT SOME POINT...DAME!!! !....I'M SO GOING TO CRALW UNDER A ROCK WHEN SHE DOES AND LAY THERE AND DIE!!!! [shipo]she has every right 2 b mad at u miroku!! 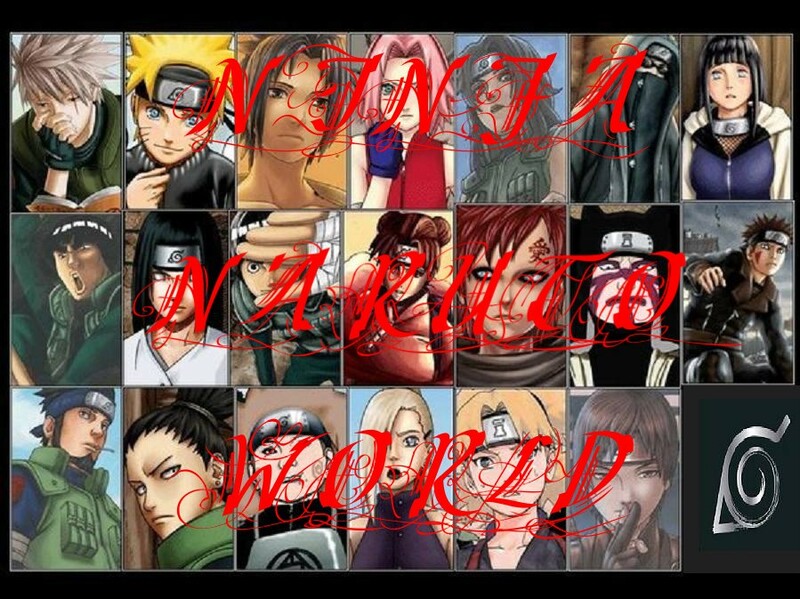 me:*sighs*umm hate to be rude but who are all you people and whats going on and where the hell are we????? 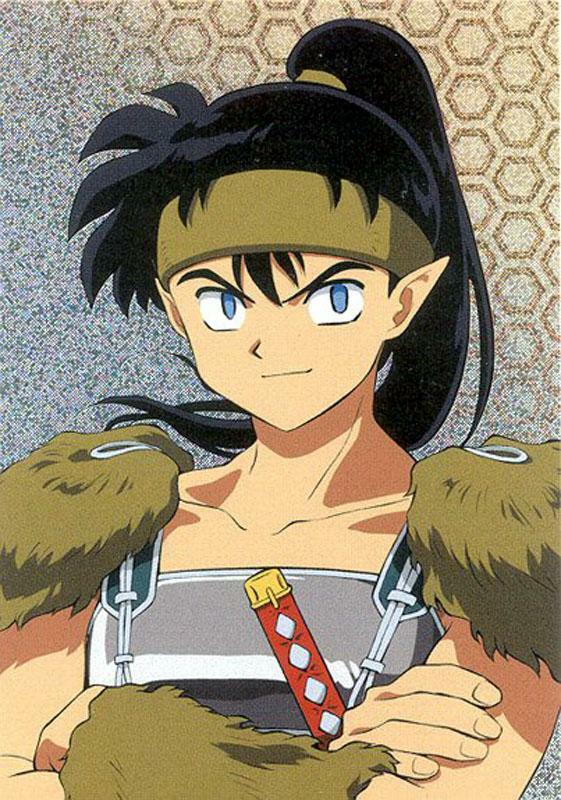 [me]nice 2 meet u all and wer VERY confused as 2 wer we r.
[inuyasha]yea lets go b..*sniff sniff*this is jsut great! [inuyasha]yea and its coming from the direction ur friend went kagome. 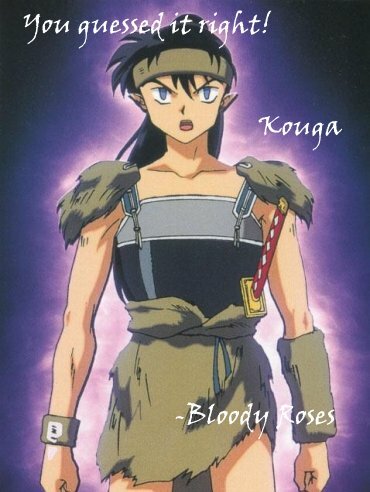 [sango]u havent senced any right kagome?and he already nos about ours so y would he b looking 4 them here? ?unless maybe u dropped them somewere and he wants 2 return them..
[me]*wolf ears perk up*u just said there kagomes and 4 me 2 give them 2 u cuz they dont belong 2 me but they dont belong 2 u either so y should i? [me]0////0 WTH!?!?!?! ?>////< *slap* DONT CARE WHO U R NO 1 GRABS MY BREAST!!!!! [inuyasha]i can belive u lost them!! kagome:*looks at you and sighs a sigh of releaf*....hikari you found my jewl shards??? [me]HEY 4 UR IMFORMATION IM A DECEDENT OF 1 OF THE MOST POWERFUL WOLF DEMONS THAT EVER LIVED!!!HMP! 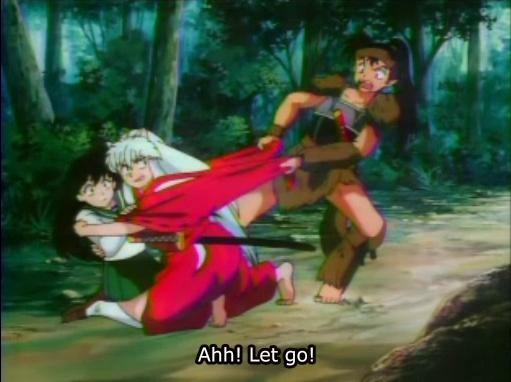 [inuyasha]HEY GET AWAY FOOM HER!!!!!! [shipo]*sighs*do u really have them hikari? kouga:*anime vain and growls*...NO SHE MINE MUTT FACE...*trys to pull inuyasha off her*....STAY AWAY DOG BREATH SHES MINE!!!!!!!!! 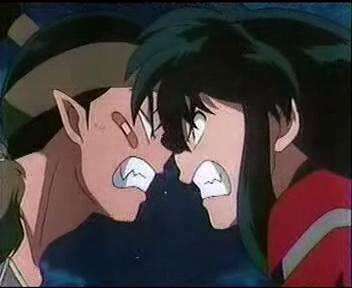 [inuyasha]*gets in his face*Y DO U CARE!?!?!? !U ALREADY GAVE UR HEART 2 AYAME!!!!!!!! !LONG B4 KAGOME!!!!!!! !GO FIND URSELF A WOLF GF...LIKE HIKARI!!!!!!!! [me]WUT!?!?!?! ?NO WAY!!!!!!! !HES A JERK,A PERVERT..EVEN MORE THEN THAT MONK,AND HES 2 SLOW,HE'D JUST KEEP ME WAITING 4 HIM!!!!!!! [sango]how is he more then a perv?? [inuyasha]SEE!! !U LIKE HER ALREADY SO GET WITH HER AND LEAVE KAGOME ALONE!!! 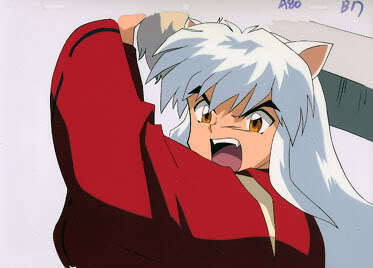 kouga:*anime vain and growls and gets in inuyasha's face*...STUFF IT MUTT FACE!!!! !...KAGOME IS MY GIRL MUTT FACE.....I DON'T WANT THAT PERTATIC WOLF DEMON GIRL!!!!!! !....SHE'S NOT GOOD ENOUGH FOR ME ONLY MY KAGOME!!!! kagome:*sweat drops and anime vain*....YOUR GUYS ARE BEING BIG IDOITS!!!!!! me:*huge anime vain and growls*...THATS IT YOU PISSED ME OFF.......YOU WILL NOT CALL ME PERTATIC MUTT FACE AMD TALK ABOUT MY CUSSIN LIKE THAT AND TREAT KAGOME LIKE SHE IS PROPTTY!!!!.. *balls my fist up and quickle swings my fist and hits him in the face and he goes flying back and hits the ground*...THATS WHAT YOU GET!!!!!!!! [inuyasha]*impressed and laughing his a$$ off*HAHAHAHAHAHAHAHAHAHAHAHAHA!!!!!!!!!! !WHOS PATHETIC NOW KOUGA!?!?!?!?!?! [me]IM GUESSING UR MR.KIDNAPPER..UR JACKA$$ U NO THAT!?!?!?!?! ?WERE KAGOMES BEST FRIENDS AND UR TREATING US LIKE CRAP!!!!! !I WOULDNT LIKE THAT IF U WER MY BF AND I NO KAGOME DOESNT EITHER!!! !EVEN THOUGH UR NOT HER BF,MR.POSSESIVE IS!!! !WE COULD EASILY BEAT UR A$$ BUT I WANNA DO IT CUZ U INSULTED ME 1ST!!!!! [inuyasha]huh?who the hells she talking about kagome?? 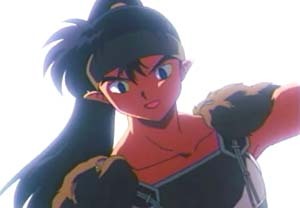 [sango]u made her really upset kouga.maybe u should go appolagize. 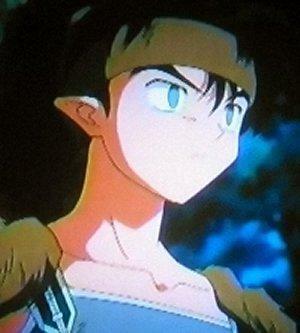 kouga:*annoyed*...HAY WHY SHOULD I?!?!?!??!?! ?...HOW WAS I SPOSE TO KNOW!!!!!! kouga:*looks at me with an even more annoyed look*.....STUFF IT.....I ALREADY SAID I DIDN'T KNOW!!! 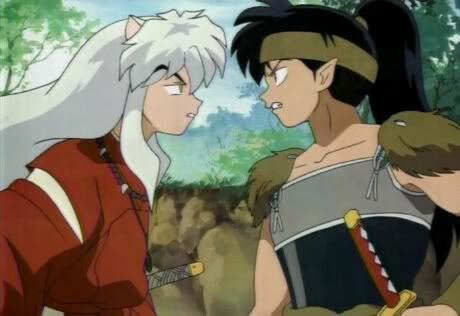 [inuyasha]DONT COMPARE ME 2 HIM!!! me:*sighs and then laughs at sango's comment*...kogame you remebr when I said I wouldent mind having two guys fighting over me well I wouldent want that any more....I would jump off the nearest cliff!!! [me]*smells him*HEY GET AWAY FROM HERE U PERVERT!!! !I SAID 4 U ALL 2 STAY AWAY!!!! !I MENT MAINLY U!!!!!! kouga:*back t=und from you and blushing and geting annoy*....aNO I WON'T LEAVE UNTI'LL YOU ACEPT MY APOLGE...I SAID I WAS SORRY!!! 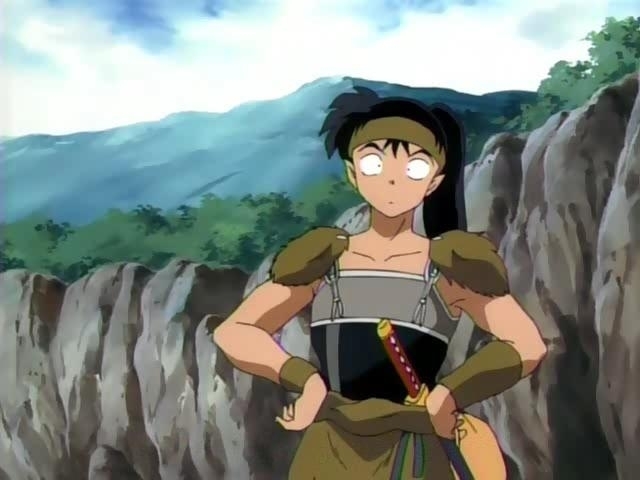 [inuyasha]*sulking*dont lump me in with that idoit..at least i dont go insulting ppl wen i dont even no there names like kouga did..
[me]*annoyed*AND I WONT ACCEPT IT CUZ U DONT MEAN IT AND U RNT SORRY,NOW GO!! !I NEED 2 GET DRESSED SO I CAN GET AWAY FROM A JERK LIKE U!!!!! [me]*annoyed*i already said no.wer do u come off!?! ?u insaulted me right off the bat! !u didnt even no my name and u were calling me names and actting mean 2 me,if all wolf demons r like u then i hate my own kind.just leave.kagomes the only reason u came 2 say sorry and u cant tell me thats not true cuz i can tell.u probably dont even no my name..i didnt even introduce myself b4 u started actting like a jerk me,but then again maybe its not an act,maybe ur just a jerk. [me]*annoyed*no u still dont mean it,now ur just saying wut i said but in a apologetic form.just go away.i dont want 2 talk 2 u.at least i gave u a chance 2 introduce urself even though u never even gave me that much.i try 2 get 2 no some1 b4 i judge them,unlike u who just judges on apearence.